It is a black Democracy Day in Lagos, as another three-storey building on Lagos Island collapsed this morning with two people confirmed dead and several others still trapped. 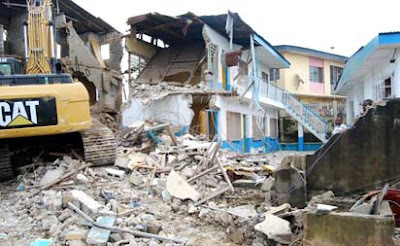 This is the fourth building to have collapsed in Lagos in recent times. Rescue operation is still ongoing as emergency responders are working frantically to rescue trapped victims in the building located at Daddy Alhaja Street, Oke Arin, Lagos Island, Lagos.